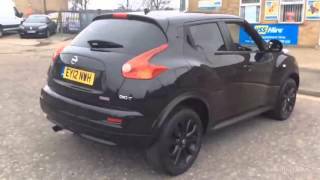 Nissan unveiled a limited edition Juke with black wheels, black mirrors and door handles. 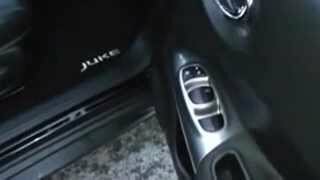 Kuro means black in Japanese and since this Juke has its accessoried in black color, its aptly named Juke Kuro. 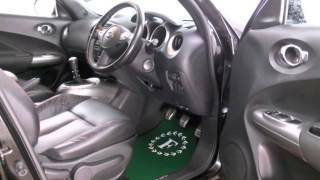 The car is available at the local Nissan dealerships for £17,395. Whether talking about the contents of your wardrobe or your garage, style gurus will always tell you that black is never out of fashion. So the new special edition of Nissan's stylish Juke crossover is sure to appeal to the most fashion conscious drivers. 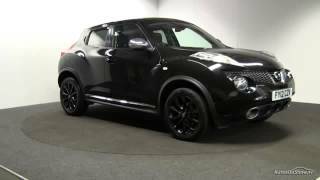 Named ‘Kuro', meaning black in Japanese, the strictly limited edition provides a new, dark look to the British-built Juke. Based on the top-of-the-range Tekna grade, the Kuro features new ten spoke, 17-inch alloy wheels finished in gloss black along with black door mirrors and handles.Only 700 examples of Kuro will be produced for the UK. As with all fashion items, a label is crucial so the Kuro's exclusivity is acknowledged with a special numbered plaque fitted to the centre console. The Kuro is available with a choice of two metallic paint finishes which could complement the contents of any wardrobe: Pearl Black or Force Red. 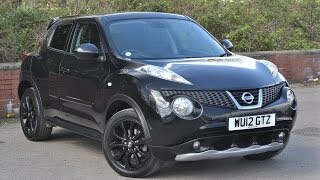 The full range of Juke engine options is available with the Kuro, starting with a 1.6-litre petrol priced at £17,395. For those who like power dressing, the obvious choice will be the flagship 190hp turbocharged DIG-T at £18,995. The Kuro is available to order now, with customer deliveries expected to start on 1 October 2011.